The Spokane Register of Historic Places is our local government’s official list of properties that have been designated as significant contributors to the historical development of Spokane. The Register was established by ordinance in both the City and County of Spokane in 1981 and 1982, respectively. These ordinances deem the City/County Historic Landmarks Commission responsible for the stewardship of historic and architecturally significant properties. Nominations to the Spokane Register must be accompanied by owner consent. A property that represents the culture and heritage of the city of Spokane in ways not adequately addressed in the other criteria, as in its visual prominence, reference to intangible heritage, or any range of cultural practices. Once a property has been determined eligible for placement on the Spokane Register, a nomination is completed for the property either by the property owner or a consultant. The nomination then goes before the Spokane Historic Landmarks Commission, which meets the third Wednesday of each month. The Commission will make a recommendation, based on the nomination, to the Spokane City Council, which will be heard and voted on at the next available Council Meeting. Draft Nomination Form: A draft nomination to the Spokane Register of Historic Places must be submitted to the Historic Preservation Office 30 days before the Landmarks Commission Meeting. Please send documents in MS Word or Adobe PDF format (MS Word preferred) via email to preservation@spokanecity.org. Staff will respond with suggestions or revisions. Final Nomination Form: The final nomination to the Spokane Register must be submitted no later than two weeks before the Landmarks Commission Meeting. Completed final nomination forms and accompanying documents must be submitted electronically to the Historic Preservation Office at preservation@spokanecity.org. View the Spokane Register Nomination Guide 2018 and download a fillable Spokane Register Form. Color Photographs: At least six digital photographs showing: primary and secondary elevations and landscape; at least one photograph showing the property in the context of its neighborhood; and at least six representative interior photos of significant interior features. Hearing Schedule: Once staff determines the application is complete, a hearing will be scheduled with the Spokane Historic Landmarks Commission, which usually meets the third Wednesday of each month. Public Notice: Staff will publish a public hearing notice in the Spokesman-Review 14 days prior to the hearing date. Site Visit: A sub-committee of the Landmarks Commission will visit and view the property prior to the hearing date. That site visit is generally held the week prior to the public meeting. Hearing: Staff will present the nomination. The applicant, or a qualified representative or consultant, should be present and will have an opportunity to offer comments concerning the nomination. Decision: City staff submits the nomination, Management Agreement, and findings of fact to City Council or the Board of County Commissioners for a final decision. Notification: Staff will notify the applicant of the final decision and forward any relative documents for the applicant’s files. The Historic Preservation Office and the Historic Landmarks Commission have long worked toward the establishment of an historic marker program for properties listed on the Spokane Register of Historic Places. Local artist Marcia Smith created a handsome design executed in a 10-inch bronze plaque. The plaques are designed for exterior mounting, and finished with a clear acrylic lacquer for extra protection against the elements. The Spokane Register Historic Marker Program offers us the opportunity to recognize those residences and commercial properties that contribute significantly to the historic and architectural character of this community. We envision this project as a means of applauding local preservation efforts, as well as an effective educational tool. To purchase a plaque, simply come to City Hall, 3rd Floor. You will be able to pay the $150 purchase price and take your plaque home with you! Simply put, Design Review is the process that helps insure any alterations to a building do not adversely affect that building’s historic character and appearance. There are many benefits to conducting design review which include the preservation of the unique and historic qualities of our shared environment, the promotion of unique business environments and the protection of neighborhood identity. Owners of properties listed on the Spokane Register of Historic Places agree to follow Management Standards and the Secretary of the Interior’s Standards for Rehabilitation outlined in their “Management Agreement.” This agreement states than an owner must obtain a Certificate of Appropriateness (COA), or approval, for any action affecting use, exterior appearance, new construction or demolition of the designated historic structure. It’s important to note that normal maintenance or repair does not require design review if no changes are made to the exterior appearance of the building. To learn more about design review, please click here. Eligibility requirements and the application process are the same as that for individual properties listed on the Spokane Register. However, a local historic district requires approval by a majority of the property owners. 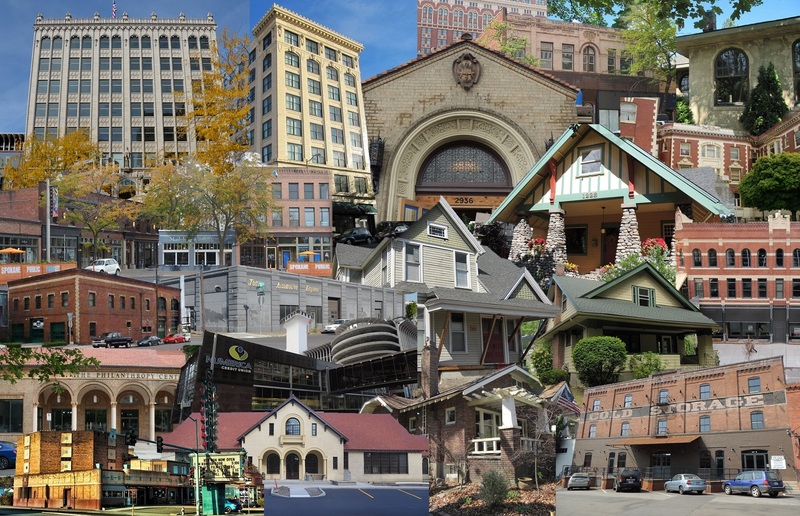 Learn more about Spokane’s local historic districts.